John Acosta currently serves as President of AFM Local 47 representing over 7,000 professional musicians in the southern California area. 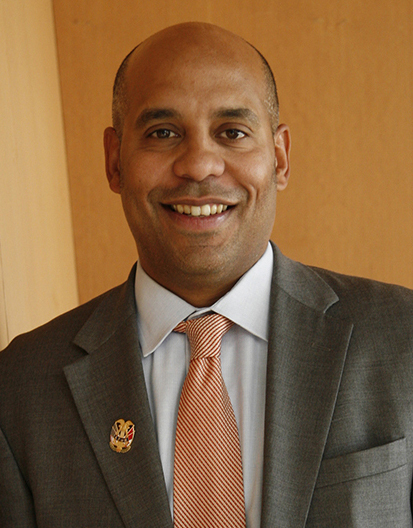 He also serves as Vice President on the Los Angeles County Federation of Labor Executive Board, Vice President on the Music Fund of Los Angeles Board of Directors, Chairman of the AFM Diversity Committee, Director on the Actors Fund Western Council and Director on the Verdugo-Workforce Investment Board. John hails from the Bronx, New York. John’s father Juan Acosta was a percussionist from Cuba who worked as a touring musician with Latin jazz greats such as Tito Puente & Celia Cruz. In California, John began his recording career working as a composer, guitarist, producer and engineer for artists signed to Warner Brothers, DreamWorks, Geffen, BMG, Elektra and Capitol Records. John’s work as a musician led to him working with Local 47 and advocating for musicians’ rights.